It also leads into other secondary videos to educate the public about certain details of the shelter and organization such as "what is a spay day? ", or how to accomplish certain tasks that volunteers or people seeking services may ask, such as "how do I use a live trap?". 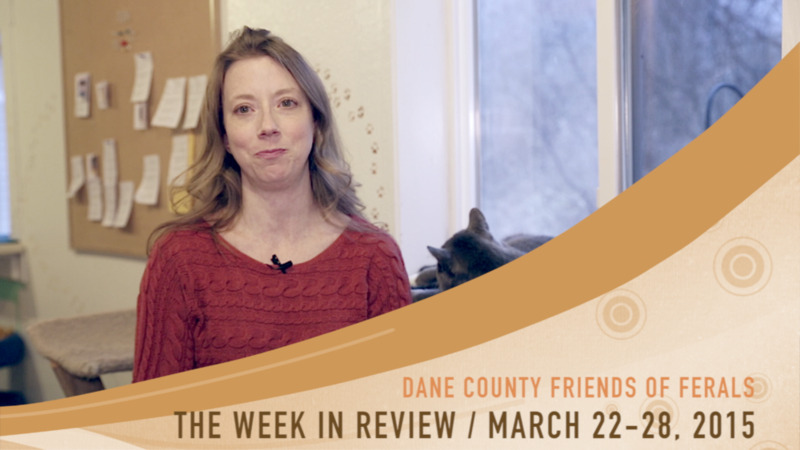 So right now we just posted the first video, the first Week in Review. It's short and to the point and gets across the shelter's needs and accomplishments in 3 minutes. If things go as planned, we'll post another one next Monday and eventually the auxiliary videos will start to appear in between them, even being linked to them and mentioned during the Week in Review videos. Within time, it will be one large ongoing YouTube channel to educate the public on feral cats, tame cat adoption as well as help to grow and maintain the shelter.